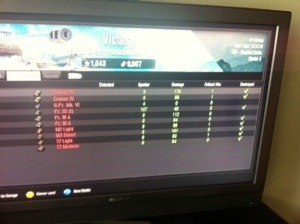 My finest World of Tanks Xbox proudest moment! Not only did I score that amazing number of kills, I also damaged a total of 10 out of 15 enemy tanks. On top of that I got a couple of medals, my first ever Kay’s Medal, and the Ace Tanker 99% medal. I’m especially proud of the latter because it means that I got more experience than 99% of the rest of players in the same tank, for the last WEEK!